HSSC Haryana Police Constable Admit Card 2018 @ www.hssc.gov.in is available from 26th Nov 2018. Check Haryana SI, Constable Exam Dates through the latest update. Download Haryana Police Constable call letter will be from 26th Nov 2018. To fill 7,110 Posts (6647+463) Vacancies for the post of Police Male & Female Constable in the Haryana State Govt. The Admit card link will appear soon. Latest Update(27th Nov 2018): Haryana HSSC Police Constable SI Posts Exam Dates are 2nd, 23rd, 30th Dec 2018. Admit Card card are now available for downloading purpose. Are you waiting for the HSSC Constable Admit Card 2018 Link? Yes!! Actually, the Haryana Police Department wants to issue the Admit card for the Candidates on 26th Nov 2018. Who has completed the Haryana Staff Selection Commission Constable applications process they have to download the Haryana Police Constable Admit Card 2018 to write the Exam for the post of Constables. So, for the sake of candidates, we provide the Direct source to get your individual Hall Ticket link as soon as possible. The Haryana Staff Selection Commission is going to release the HSSC SI Admit Card for the Police Ecam. That is why they have to organize the Examination for the Participants the one who is really interested in attending for the written Examination they have to check here for the Exam date & also the Admit Card releasing date. SO, one who is ready to participate in the Examination they will surely download the Haryana Police SI Admit Card 2018. So, must prepare well for this Competition. In the meanwhile, you can also download the Syllabus in pdf format. 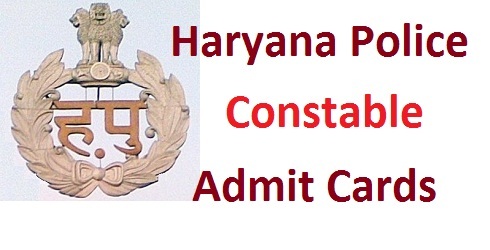 Click on Haryana Police Constable Admit Card 2018 Notice.